Every year M3 holds a holiday party. 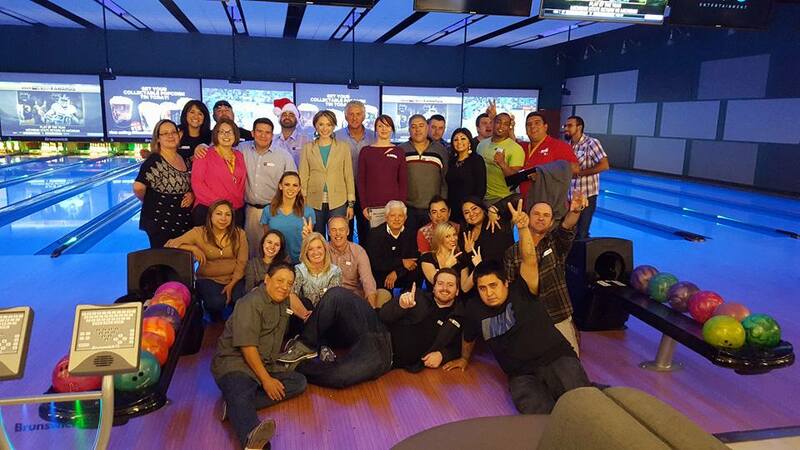 It’s a great time to get everyone together, celebrate a successful year, and thank everyone for their hard work. Since 2012 M3 has been giving out three year end awards: Management Employee of the Year, Maintenance Employee of the Year, and the highly coveted Property of the Year award. Property of the Year is accompanied by a giant trophy, engraved with each year’s winner, that is displayed at the winning property for the next year. Since awarding this trophy for the first time in 2012 to Stony Creek Apartments, we’ve seen some healthy competition over it among our portfolio! 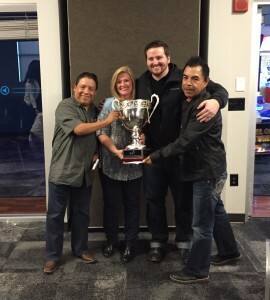 2015’s Maintenance Employee of the Year award went to Jesse Ybanez. Since starting work for M3 at the Retreat in October, 2014, as maintenance supervisor, he has made a big impact on the quality and efficiency of maintenance at the property, as well as helping to train and motivate his staff. 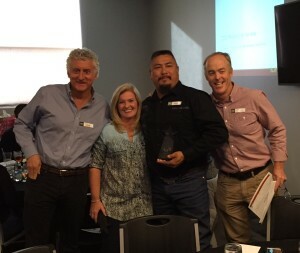 2015’s Management Employee of the Year award went to Robert Martinez. Robert has been the property manager at The Villas since June of 2014, and his effective management is the major reason that The Villas was runner up for property of the year! 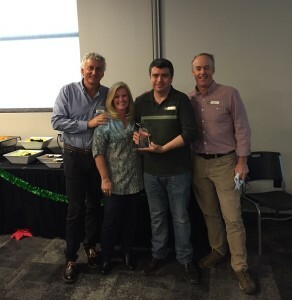 2015 Property of the Year was awarded to Stony Creek Apartments! Stony Creek is consistently one of the top performing properties in the M3 Portfolio, and this is due in huge part to the wonderful management by Darla Adams and Joey Adams, and excellent maintenance work by Antonio Nava and Juan Peregrino.